One of the reasons that I've been absent from blogging the last few weeks is that we've been doing some major work around the house. Our contractor was back to replace the living room ceiling and tear up most of our sunroom. When all of the furniture was pulled out and the walls bare, I had the brilliant crazy idea to repaint four of our rooms. We were pressed for time, but we pulled it off and the rooms looks great. 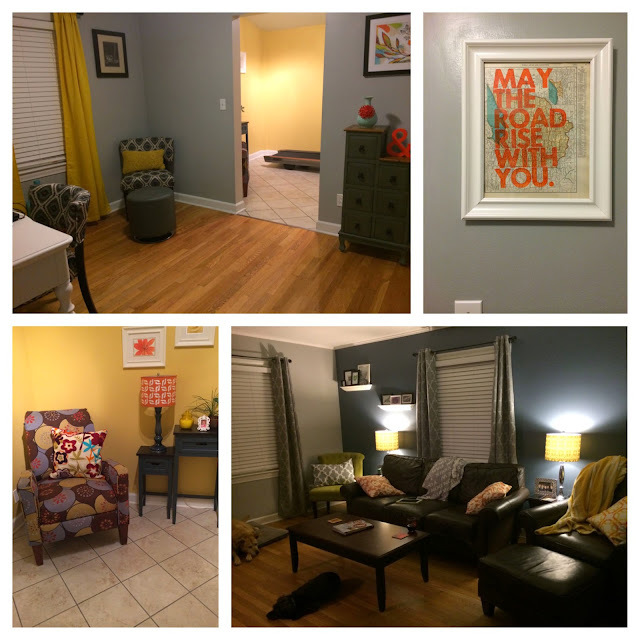 A few finishing touches are needed, and a new paint color in the sunroom, and then we'll be done. I'm loving the new gray walls and cool tones throughout the house. A few new pieces of furniture that I've wanted for a while, and some new textural touches...I'm quite happy. 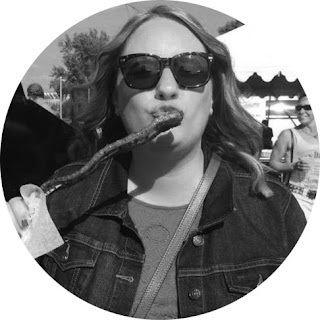 But, that means that I'm way behind on responding to personal emails and documenting recent life on this blog. It was worth it, but I have a lot to catch you up on. 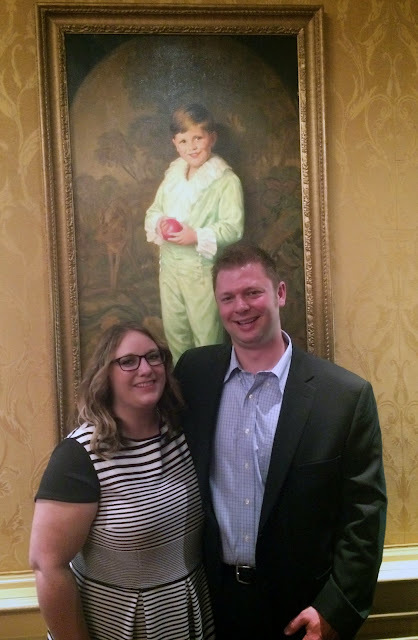 One of the events that "R" and I attended during all of this chaos was the 16th Annual Chef's Fantasy Dinner and Auction to benefit the Cystic Fibrosis Foundation. 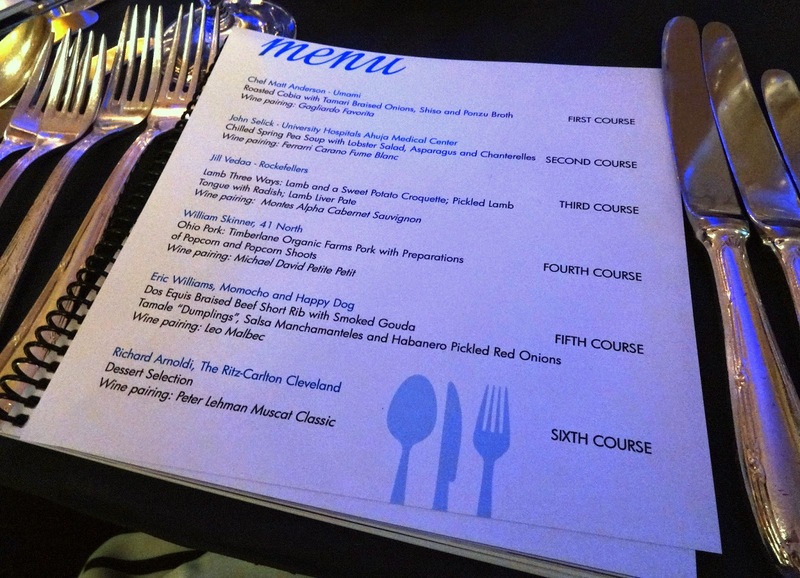 It was held at the Ritz-Carlton in Downtown Cleveland, and the venue was a perfect setting for the event. The evening started with a VIP Reception with food from Saucisson, Rocky River Wine Bar, and University Hospitals Main Campus. The room also had some interesting artwork, particularly this piece, that became quite the conversation topic. What a creepy little guy. We really enjoyed the relaxing VIP Reception, and we sample some of our favorite dishes of the night during the Reception. Like the Fried Pork Rillette from Melissa at Saucisson. The surprise of the VIP Reception was the delicious food from Chef Anthony Verona at University Hospitals Main Campus. He served up Roasted Eggplant Agnolotti, Braised Buffalo Short Ribs, and Fresh Linguine Pasta with Butter Poached Lobster that he was cutting right on-site. Then, we moved on to the main event in the ballroom. 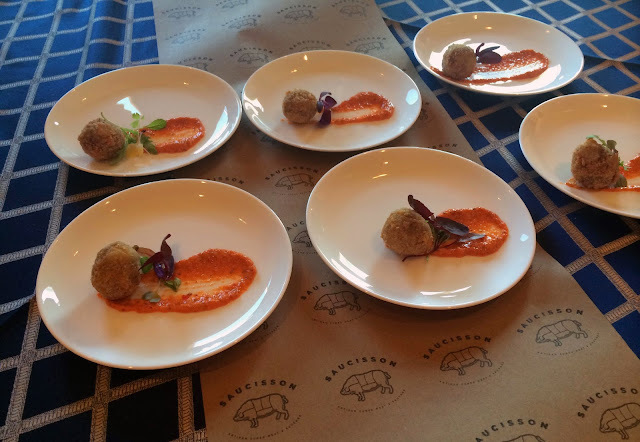 The six-course meal included courses from Chef Matt Anderson from Umami, John Selick from University Hospitals Ahuja Medical Center, Jill Vedaa from Rockefellers, William Skinner from 41 North, Eric Williams from Momocho/Happy Dog, and Richard Arnoldi from The Ritz-Carlton Cleveland. Wines were paired with each course. 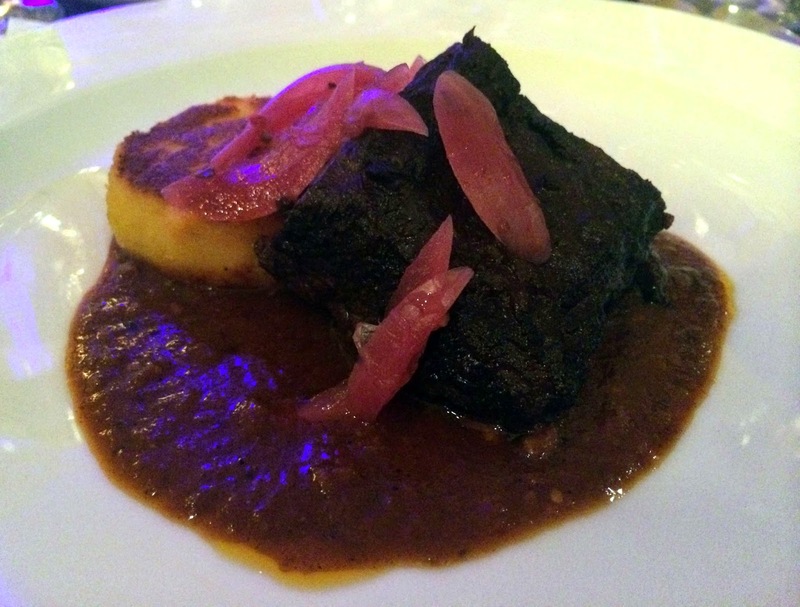 My favorite dish during the dinner came from Eric Williams, a Dos Equis Braised Beef Short Rib with Smoked Gouda Tamale Dumplings, Salsa Manchamanteles and Habanero Pickled Red Onion. 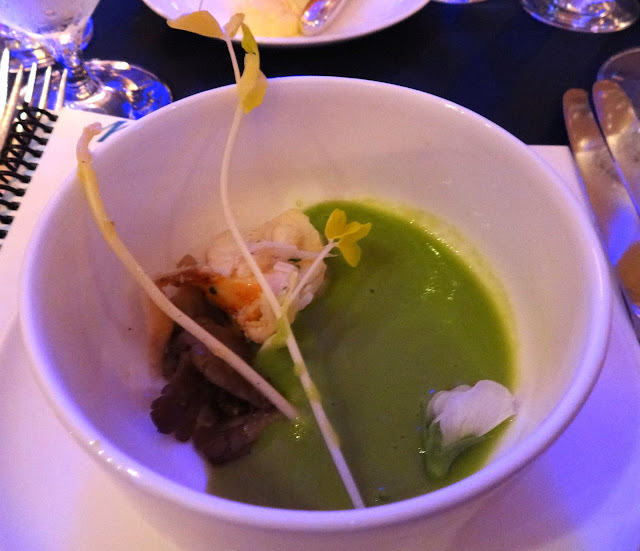 Another standout was the Chilled Spring Pea Soup with Lobster Salad, Asparagus, and Chanterelles from John Selick. It was light and refreshing, a perfect "spring" note, and the overall winner for presentation that evening. Simple, clean, colorful. Other dishes during the dinner were a little disappointing, if I'm being honest. Not the best that I've had from these participating chefs. The auction at the event was one of the best that I've seen. We had our eye on about five dining packages, and walked away winning a four-hour cooking class and dinner for six guests with Chef Melissa Khoury. I'm pumped! Overall, we had a great time and the event was very well executed. The staff and hosts did a wonderful job of reminding guests why we were there. The speakers and emcee shared their personal stories of how cystic fibrosis has impacted their lives, with humor and passion. They were some of the most moving speeches that I've heard at a charity event. The event raised critical funds for the Cystic Fibrosis Foundation, and guests enjoyed a nice evening out. We were just honored to be a part of it. It's an annual event, so keep your eye out for the event announcement next year. Disclosure: I was provided with two VIP tickets to the event in exchange for promoting the event in advance. I was not asked to share my experience post-event, but chose to do so. All opinion are 100% my own.